New York, NY – August, 24, 2017. Ron Gordon Watch Repair, a top-rated watch repair service for NY, New York, is proud to announce a new blog post on the dilemma of self-winding watches. Many key luxury watch brands such as Rolex, Tag Heuer, and IWC have self-winding watches, and it’s a common reason for customers to visit Ron Gordon Watch Repair. The company uses its informative blog to share monthly featured articles on luxury watches; in fact, Ron Gordon Watch Repair is known as the “goto” watch repair shop for brands as diverse as Rolex, Tag Heuer, and Omega. To read the new blog post on watch repair and self-winding watches, visit https://www.rongordonwatches.com/2017/08/self-winding/. 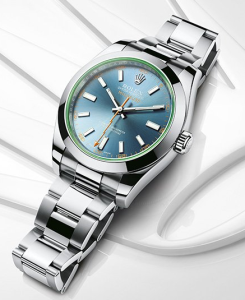 Those who own Rolex watches, for example, are urged to visit the Rolex watch repair information page at https://www.rongordonwatches.com/rolex-repair/. Other brands can be visited on the website, as well, as Rolex is not, of course, the only brand that has self-winding watches. Persons with non-functioning watches are urged to call the shop and schedule an estimate, as there are many possible reasons why a watch can stop performing accurately. Many luxury watches depend not on the battery but on human motion to derive the energy necessary to function. This “self-winding” feature is basically an innovative method which “extracts” the energy of motion from a person’s natural, day-to-day movements and imparts it into the watch. This is what is meant by “self winding.” That said, many New Yorkers have more than one luxury watch and may switch off. If a self-winding watch sits in a drawer or other still place, however, it will – over time – run out of energy. In this way, the customer can be fooled into believing that his beloved Rolex, Tag Heuer, or IWC brand watch (to name a few that have self-winding watches) is broken, when it is in fact, not. Alternatively, the self-winding mechanism can be problematic and can indeed fail to function at times. In either case, New Yorkers who have non-functioning self-winding watches are urged to contact Ron Gordon Watch Repair for an estimate on their watch repair costs. A true luxury watch like a Rolex, Tag Heuer, or IWC should not languish “dead” in a drawer but rather should be proudly displayed (and proudly self-winding) on one’s wrist throughout the greatest city in the world, New York City. Next Post: Rolex and The Deepsea Challenge: What’s On Your Wrist?